Although scrap iron does not have a very high market price, it is definitely worth selling to a recycling facility if you have a significant weight. Scrap metal recycling in Houston can be difficult if you do not know what scrap iron looks like or how to identify iron scrap. Don’t sweat it! Gulf Coast is here to help. 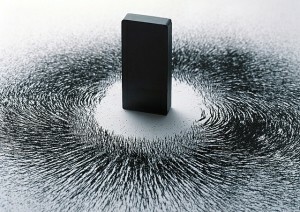 Theres iron filings demonstrate the magnetic quality of iron. Iron is a magnetic material so the easiest way to identify it is by running a magnet over the scrap in question. If the magnet sticks, you are at least certain that the scrap is a ferrous material so it has some iron in it. While this material can be found is several places, you want to bring in iron in bulk. There is no point in bringing in one cast iron skillet; you simply won’t make enough money for your effort. Some good things to bring in are cast iron / iron sheets, rails, wrought iron fencing, automotive iron (blocks, heads, gearboxes, and architectural and industrial iron building components. These are generally heavier, so you should get more buck for your bang. Scrap Metal Recycling in Houston: Why Isn’t It More Popular? 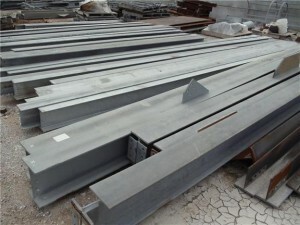 Iron beams are perfect for recycling. When it comes to scrap metal recycling, Houston businesses with large quantities of iron scrap usually opt our because of the time and cost of delivery. Metal recycling simply isn’t lucrative if you are spending a lot of time and gas driving it over to the buyer or a lot of money on a pick-up service. But the excuses are now null and void. Gulf Coast Scrap Metal will come directly to your job site or office to pick up your scrap, completely free of charge. So stop polluting and start making money with iron scrap metal recycling in Houston. Call 713-868-4111 to learn more about our services and recycling facility. This entry was posted in Iron Recycling on June 19, 2013 by admin.